Bharat Electronics Limited Jobs Recruitment Notification 2019. 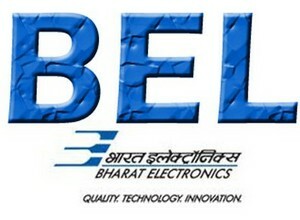 BEL invites applications for the positions of Software Engineer. Interested and Eligible candidates can apply for the positions. Age: 27 years and less as on 01.03.2019 in respect of General Candidates. 2. Candidates are required to produce all original certificates, a photocopy of each of them, caste in the prescribed format (if applicable), a recent passport size color photograph and other relevant certificates to BEL on the day of the written test/ interview. 3. Candidates shortlisted for the test will be informed through e-mail regarding the date of written test & interview. The list will also be published in the BEL Website. 5. Experience Certificate/s from previous employer/s and Appointment letter in case of the present employer. 10. Method of conversion of CGPA to percentage and proof of norms adopted by the University / Institute to convert CGPA into a percentage. Hard copy Applications complete in all respects with enclosures, may be sent to the Deputy General Manager (HR/Mil-Com), Military Communication SBU, Bharat Electronics Limited, Jalahalli Post, Bengaluru - 560 013 on or before 01.05.2019.